China's Defence Minister Wei Fenghe made the remarks on Thursday at the opening of the Xiangshan Forum in Beijing, which China s tyles as its answer to the annual Shangri-La Dialogue security forum in the wealthy city-state of Singapore. 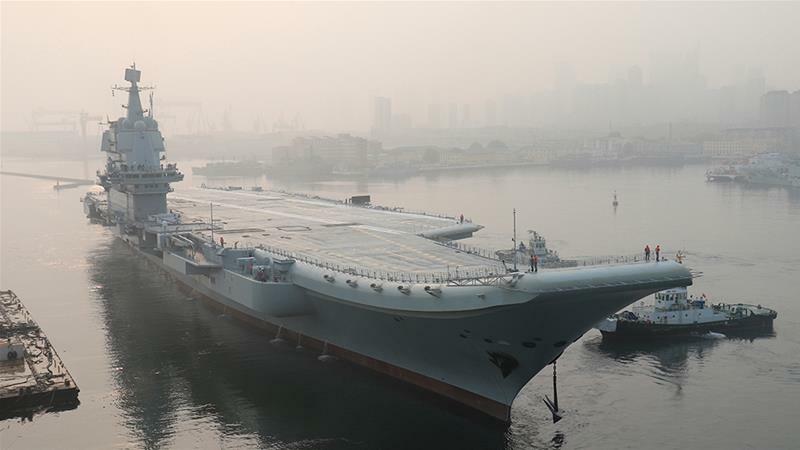 China's military ties with the United States are important and sensitive, he said, adding Taiwan is a "core" interest and Beijing opposes displays of strength by "outside forces" in the South China Sea. Beijing has been infuriated by recent US sanctions on its military, one of a growing number of flashpoints in ties with Washington that include a bitter trade war, Washington's backing of Taiwan, and the US' military posture in the South China Sea. "The islands in the South China Sea have long been China's territory. They're the legacy of our ancestors and we can't afford to lose a single inch of them," said Wei. The world's two largest economies n eed to deepen high-level ties to navigate tension and rein in the risk of inadvertent conflict, US defence chief James Mattis told his Chinese counterpart last week. A former US military commander warned on Wednesday it's likely the United States will be at war with China in 15 years. Retired Lieutenant-General Ben Hodges said the US will need to focus more attention on defending its interests in the Pacific. "I think in 15 years - it's not inevitable - but it is a very strong likelihood that we will be at war with China," Hodges told military and political experts. "So you're going to see u s â¦ permanently assign forces for the eventuality that in 10 or 15 years we're going to be having to fight in the Pacific." Hodges told AP news agency a recent near-miss between a US Navy destroyer and a Chinese warship in the South China Sea was only one of the signs pointing to "an increasingly tense relationship and increasing competition in all the different domains". Foreign Minister Wei said there's no such thing as a threat from China. "The Chinese military will never become a threat to other countries. Regardless of our level of development, we will not seek hegemony, we will not engage in any military expansion or arms race," he told the forum. China has been angered by the US sanctions on its military for buying weapons from Russia, and by what Beijing sees as stepped-up US support for democratic Taiwan, which it claims as sacred territory. China-Taiwan relations have deteriorated since the island's President Tsai Ing-wen swept to power in 2016. 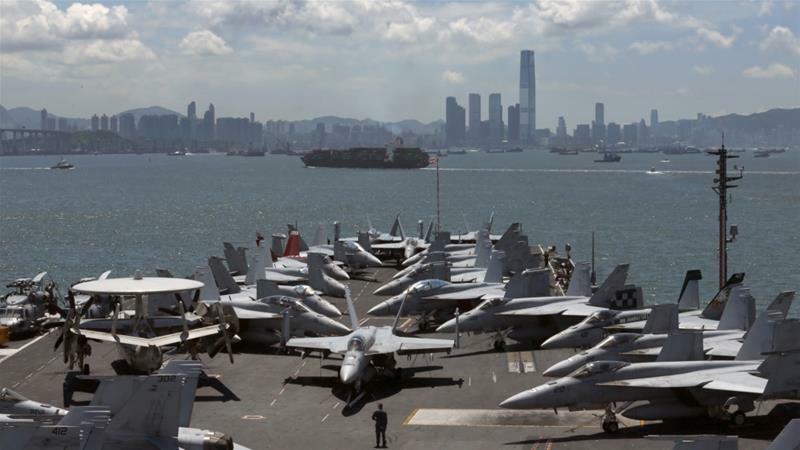 Beijing, which has never renounced the use of force to bring Taiwan under its control, has also viewed US overtures towards the island with alarm. "The Taiwan question concerns China's sovereignty and territorial integrity. It is a matter of our core interests. It is extremely dangerous to repeatedly challenge China's bottom line on this question," said Wei.